SML #14 Mark Luckie: Young, Gifted and Tech! 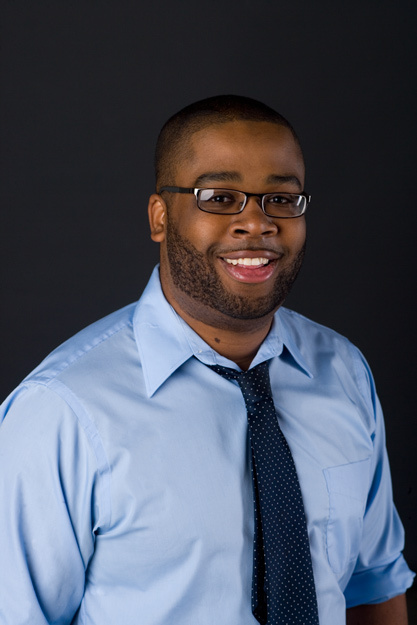 Mark S. Luckie is still in his 20’s but he has propelled himself to be a leader and a change agent in journalism and digital media. Just over a year ago he was contemplating unpaid bills, when his blog 10,000words.net took off, and he was able to sell for a nice sum to Media Bistro. He blogged about his talents and knack at finding helpful tools to tell better stories graphically with enhanced multimedia strategies to anyone who would listen. That made his blog the favorite place for journalists and others to go to learn how to keep up with new media. I met the 20-something graduate of HBCU Bethune Cookman College when he was in the early stage of his career, then proudly watched as his 2010’s amazing success story catapulted him to the Washington Post. Luckie was recently named to The Grio’s 100 and won a design contest, so Sunday morning at 10 a.m.PST 1 p.m. EST –early Super Bowl Sunday–we will talk with him about his walk and what he sees for the future. True to form, Mark’s story can be found on Twitter, Facebook, You Tube and even Flicker. What will we ask him? The Daily, Pearl Trees, Storify, Cinchcast and many other Multimedia tools. 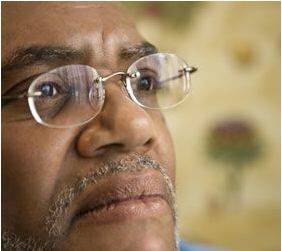 I remember Mr. Boykins, the father of one of my best friends. He was a constant fixture at the kitchen table reading his newspaper. I doubt he ever looked up at the crazy stuff we kids said and did. His time after carrying a sack of mail all day was sitting at the table unfazed as he consumed every character of ink on the page. Little did I know that print journalism would wind up being my career of choice, but ironically I never worked in print. Sure in college, I was the volunteer editor of Perspectives in undergrad at Union College, NY and AllUsWe at USC. We waxed strips of copy typeset by well-paid professionals. The closest I got to getting paid for print was producing newspapers, annual reports and other printed collateral materials within my PR gigs, but I went straight to radio and from there Internet TV and produced a documentary with our team. And now I see my colleagues scrambling to figure out how the times passed them by. Excellent writers, they pooh-poohed the Internet and now it’s coming back to bite them where they sat all those years. I hope you are listening. 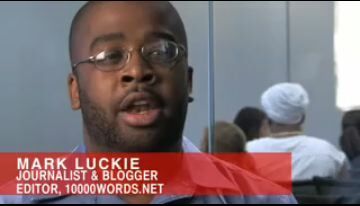 Mark Luckie can guide you–whether you are a graphic designer, techie, writer, photographer, blogger, etc. you are going to have to blend it all these days! 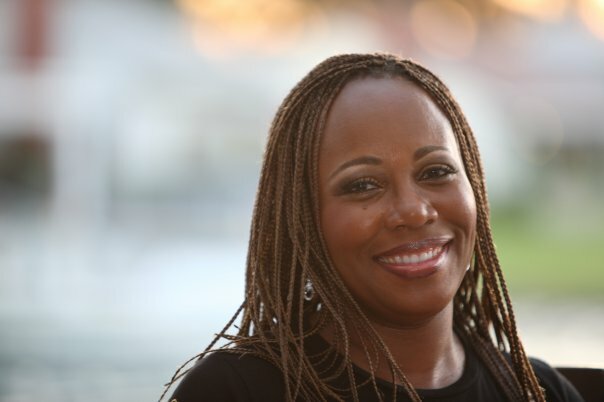 Former Essence editor-in-chief, Angela Burt-Murray is rumored to have on to assist in the launch of Huffington Post’s newest vertical, HuffPost Global Black. The site, which is the result of a partnership between Huffington Post owner Arianna Huffington and BET co-founder, Sheila Johnson will provide its audience with “news, politics, culture, opinion, and video through the lens of the black experience.” In addition to HuffPost Global Black, Huffington Post expects to be rolling out both a political and sports-themed site as well as a Latino-targeted vertical. While no official launch date has been announced, HuffPost Global Black is expected to launch sometime in March. Is a separate “Black” site necessary. If we have time for a change in plans, we will play a very special interview of an artist who used to be bullied every day. Which leads us to the top of the list–Bullying –by Street toughs AND the Houston Police!!! Scroll to end to read about Elgin Bolling! Who ya got? Until talking to my youngest son last night, I could care less, but now I am excited. You see, the coach of Pittsburgh, who bears a strong resemblance to Omar Epps. and whose father attended Hampton where my son graduated from, has the chance of being the youngest head coach in the NFL to win TWO SuperBowls…having won in 2009. This being African-American history month, those facts give me a tie to Pittsburgh. He can make history! Now Green Bay–I used to work for Willie Davis owner of KACE radio, All pro defensive end of the Green Bay Packers who played for Vince Lombardi in Superbowls 1 and 2. But that’s all in the past. Did you know it wasn’t until the 3rd Superbowl that they actually called it that officially? 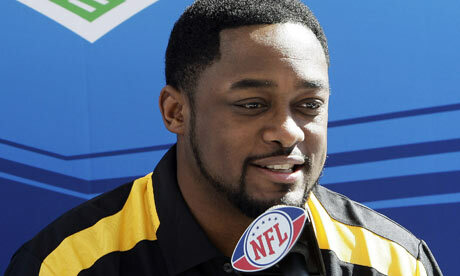 Omar Epps could play Coach Tomlin, no? I learned that from the story in the Washington Post: “5 things you didn’t know about the Superbowl”…Wonder if that was Mark Luckie’s handy work? As if kids beating a kid isn’t bad enough, did you see the video of armed police beating an unarmed burglar who had clearly given themselves up. Video (warning–graphic): http://abclocal.go.com/ktrk/story?section=news/13_undercover&id=7936228 Officer Raad Hassan was seen doing the most damage. Shame on him! 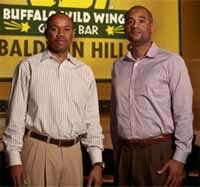 NEW BUSINESS COMES TO CRENSHAW! Plan accordingly. Get the official dates and times here! 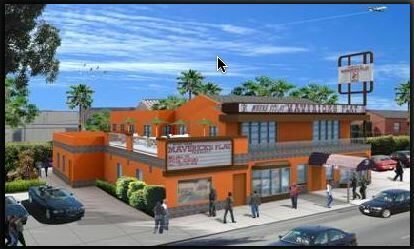 Re-Opening of Maverick’s Flat: There is a full fledged restaurant in there! This one is for the older set. Congrats to Curtis Fralin and Infinity Investments. STAPLES COMING TO CRENSHAW: And to all with home-based businesses you will be pleased to learn that Staples is also coming to the Baldwin Hills Plaza this year. The birthday boy, esteemed photographer Leroy Hamilton, enjoyed a special birthday this week. 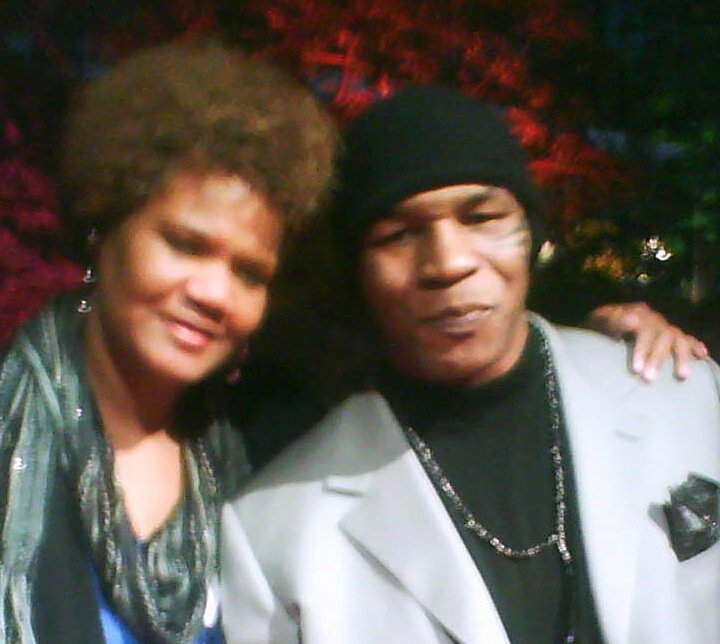 He also produced and gave permission to share with you the So Cal swearing-in of Congresswoman Karen Bass. All the politicos were there! Irony: Bob Marley and Ronald Reagan have same birthday. If we have time, we will air this today. If not, next week for sure! Note: May be offensive to some. This is not intended to be a historical resource. This week Sunday Morning Live welcomes Melissa Hayward, a minister, a dynamic singer, and actress who just released her new CD “Caught Up.” She has overcome drug addiction and founded a ministry to help others. Don’t miss her testimony! We’ll have a listening party. Can’t wait? Check out her new CD here. Hayward has currently completed her album entitled “Caught Up” which depicts the demoralized price she paid while using drugs and alcohol. She shares the extraordinary deliverance God granted her through the struggle, in hopes, that the truth of God is revealed through the creative sound and testimony that is expressed through her music. 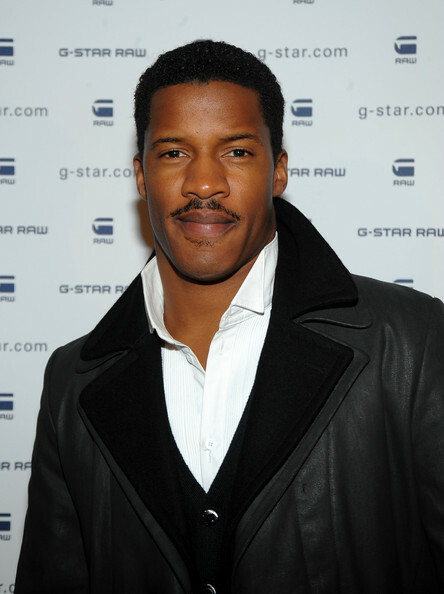 We will also hear from Nate Parker–Part II of his interview with Darlene Donloe. In this one he talks about the Slap heard ’round the world in The Great Debaters. 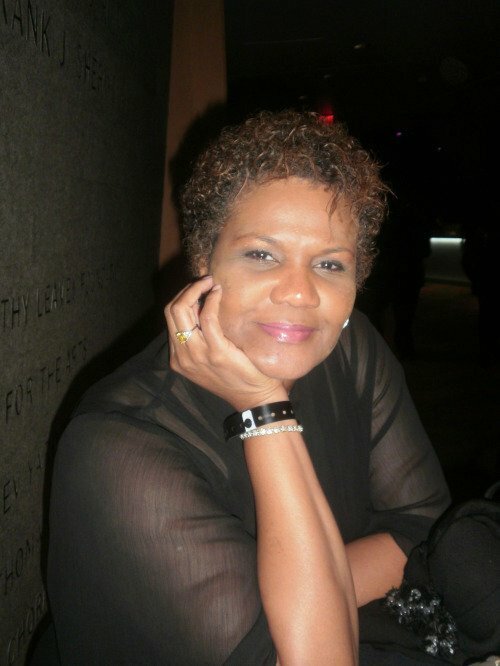 Sunday Morning Live is a weekly news magazine hosted by Isidra Person-Lynn, with entertainment news provided by veteran journalist Darlene Donloe. Still Updating this week’s news. Check back! Not too Late For the New Year: Cleanse!!! Charis is also a terrific writer who inspires. I am not just saying this because she is my cousin. Read this piece for yourself! 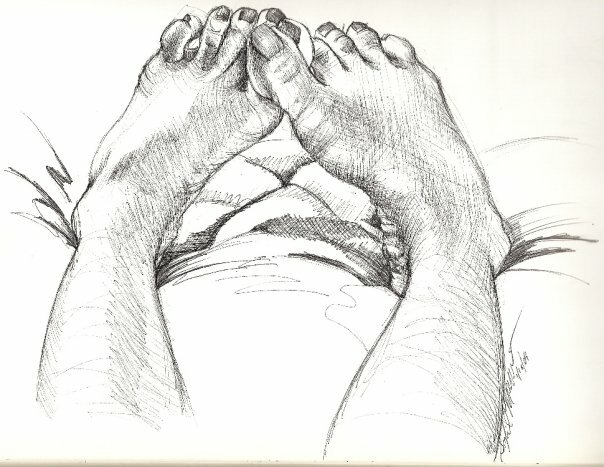 Here is one she wrote about a terrifying experience as a newlywed. Don’t worry, her husband is a kind, loving spirit and they went through that experience together. Read it! We will also get to discuss the story that broke about the mother sent to jail for enrolling her children in a district where she did not live. Not only did she spend 10 days in jail, she also was fined over $30,000. Atty. Terrye Cheathem will be on hand to discuss the legalities of it all. One version of the story is here. Some comments about it to read. My Storify on the Subject: Check out the lone dissenting voice. Does he have a point? This happens all the time with kids who are good at sports who want to play at a school with a better team. I never hear of those kids’ parents getting sent to jail. L.A. Sentinel Reports that Marlton Square has been pulled out of bankruptcy. Click Here. Here is the radio report by Pasadena City College. Click Here. Summit County Prosecutor Sherri Bevan Walsh defended her agency’s decision to bring multiple felony charges against an Akron mother in a school residency case. The statement was sent by e-mail to various media outlets 10 days after Williams-Bolar was sentenced to jail in the controversial case. On Jan. 15, after seven hours of deliberations, a Summit County jury convicted Williams-Bolar, 40, on two felony counts of tampering with records in the process of enrolling her children in Copley-Fairlawn schools in August 2006. ”While this case is truly an unfortunate situation, the fact remains that Kelley Williams-Bolar was prosecuted because she repeatedly and willfully broke the law, as a jury of her peers unanimously affirmed in court. ”Prior to prosecution, she had many options available that did not include breaking the law, including working with the Copley school district before the case reached a criminal felony level. There are many single mothers and families in similar situations who want the best for their children who are not breaking the law. ”In fact, dozens of other similar cases in recent years have been resolved at the parent level prior to prosecution because they either removed their children from the school district, paid tuition or moved into the school district. ”Ms. Williams-Bolar was the only case that could not be resolved at the parent level because she would not acknowledge that she did anything wrong and she refused to cooperate in any way. The statement said the agency will not pursue a retrial on the two deadlocked charges of grand theft that the jury faced in the joint trial of Williams-Bolar and her father, Edward Williams. ”Consistent with other cases we have tried, when a jury convicts on the higher charges, we dismiss the deadlocked charges,” Walsh said in the statement. She added: ”The state intends to proceed with the charges against Edward Williams for grand theft, a felony of the fourth degree, and for tampering with records, a felony of the third degree. ”With respect to the grand theft, the indictment alleges that he did, with purpose to deprive the owner, State of Ohio/Department of Human Services and Ohio Department of Job and Family Services, of benefits totaling: $36,023.87. Kerry M. O’Brien, the attorney for Williams-Bolar and her father, was not immediately available for comment. Note: Jan. 15 is the birthdate of Dr. Martin Luther King, Jr.
SML#12 Nate Parker and Angela Parker! This Sunday (1/23/11), we meet two dynamic 30 somethings, recap the King Parade and spend some time talking tech and gadgets. 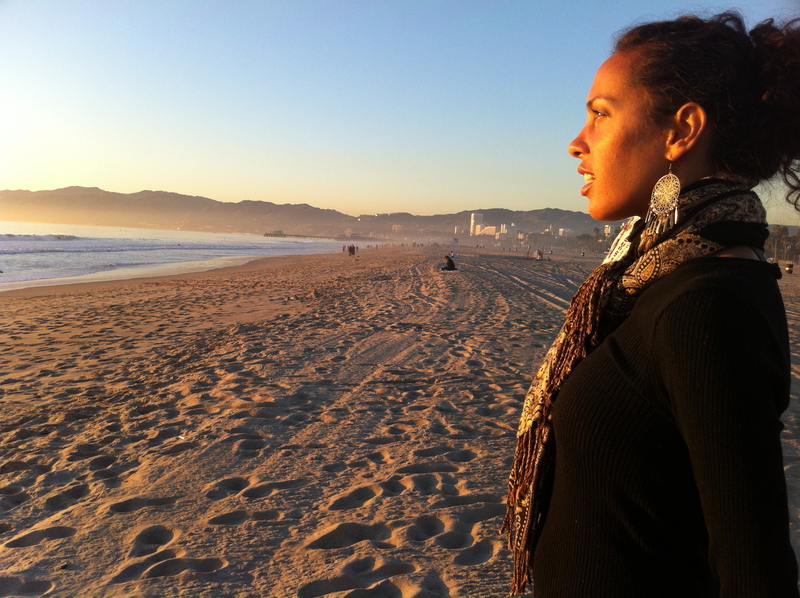 But first we meet Angela Parker who is a freelance writer who currently lives in Los Angeles, California. She is the author of Tethered and writes “Under the Hill”, a column that takes an irreverent look at life as a thirty-something singleton. You can read more from her at http://angelanparker.blogspot.com/ and visit her website at http://www.angelanicoleparker.com. Be sure and click “Older Posts” to read more of her writings! Set your reminder or listen to past shows on demand here. 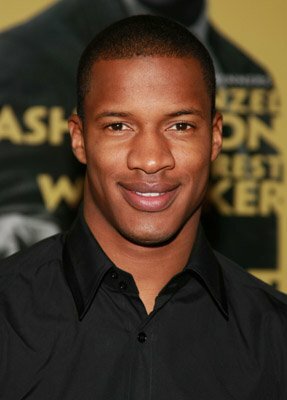 Darlene Donloe has as her guest Nate Parker. We will NOT have open phones but one day we must invite him back so you too can talk with him. I am expecting great things from the man who personified his role in Great Debaters in real life and also starred in the Secret Life of Bees and many other important works. This is a brief video which Nate Parker was referring to. It does not include his own DNA reveal but he is pictured within. It was shot and edited by Leroy Hamilton. Here is the visual file. We will play the audio file. Note: What would it cost the LAPD to calm unarmed people down, wait a bit, to assess why a person is acting the way they are? Yes, this is a week old. I missed it. Capitalism leads to exploitation of inmates. Dr. King reportedly told her, “The world sees us as we should be seen. As intelligent, beautiful, and qualified just like anybody else. You have the first non-stereotypical role on TV. You cannot leave.” Great video at the link. SOME OF US ARE BRAVE: Aired an hour long interview with the newly freed Scott Sisters. A Black Women’s Radio Show writes: Thanks Isidra! Also the show’s posted at kpfk.org now…Please note that the 2nd half hour is posted and running under Think Outside the Cage for the 1:30 time slot as they shared their time for us to have a full one hour for the Scotts today. So THAT’s How Michael Jackson Did the Lean!!! Just learned about the Atlanta Post. They are running an article on 10 contemporary Black inventors. Michael Jackson is one–with a patent! TIP: On your iPhone, you can make an icon for your favorite Blog Talk Radio Show as well, then click when you need to log on and listen! Just act as if you are going to make a bookmark and right click and click and under Add Bookmark, click “Add to Home Screen.” It will put it on the next available screen of apps! After Darlene Donloe‘s interview with a favored actor Nate Parker, who played in the Great Debaters, she filed a complete report. She has got the skinny on the rumor that Halle Berry will be playing Aretha, and a whole lot more! That’s the show we filed for Jan 23, 2010, the 12th edition of Sunday Morning Live. Show dedicated to Uncle Paul Lynn from Pasadena…and Happy birthday Ariana, and her sons Andrew and Keion! 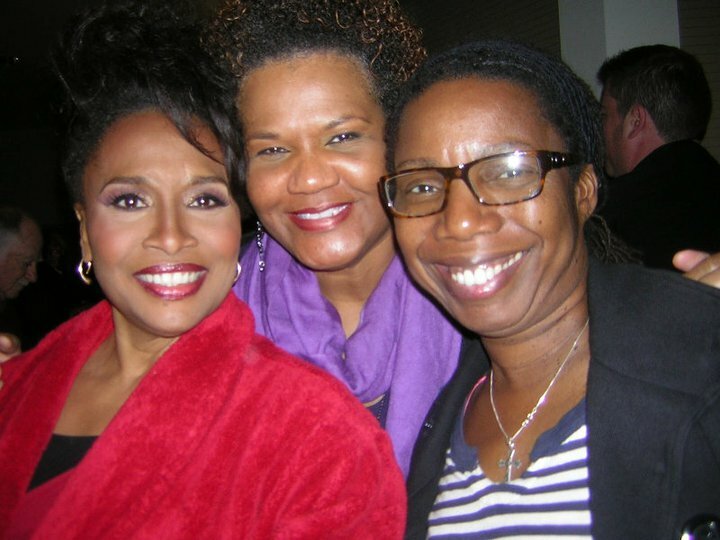 There will be a re-release of The Color Purple? Warner Home Video is celebrating Black HIstory Month with the debut of ‘Of Boys and Men and the Blue-ray premieres of The Color Purple and Malcolm X. Missed it? You’re in luck! SML runs from 10 a.m. to 11 a.m. (Sometimes longer!) Just click that link and click the play arrow on the player and you can hear the show whenever you choose. 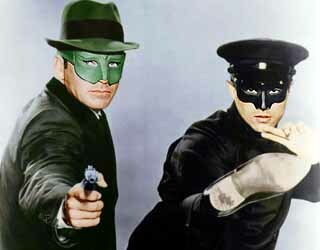 The Green Hornet (3D) and it cast of Seth Rogen, Jay Chou and Cameron Diaz. Wow! 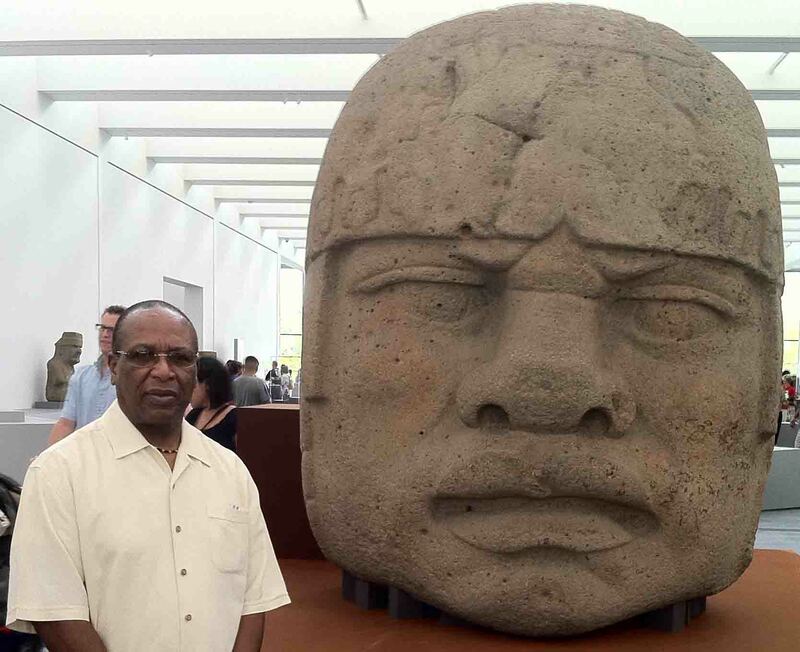 You gotta listen to find out why!We also bring a bit of audio from last Sunday’s showdown at LACMA about the African presence in the Olmec civilization (Mexico). Dr. Toni Humber delivered a stellar presentation and we’ll play a few highlights. Finally, we have some audio from CA Atty. 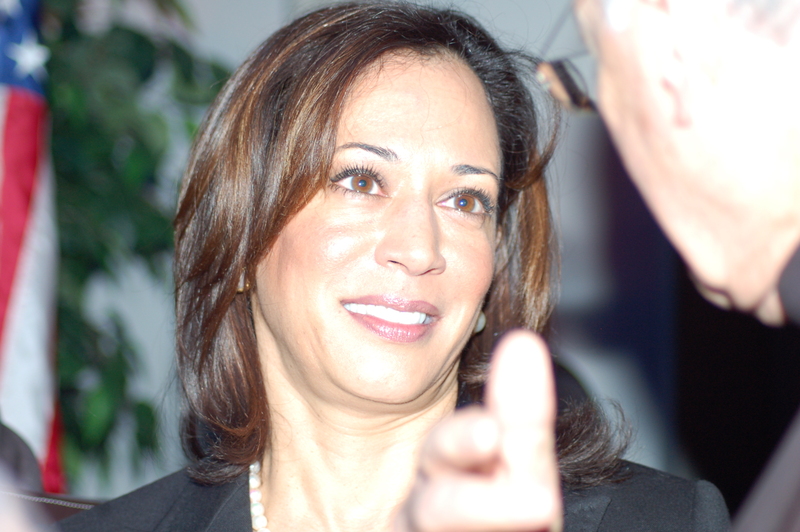 General Kamala Harris, and Congresswoman Karen Bass speaking at the 19th Annual Empowerment Congress Summit, along with L.A. County Supervisor Mark Ridley-Thomas. It all happened at USC! As always, wherever you are in the country, you can catch the show live at 10 a.m. or on demand as the archives will be available at http://www.BlogTalkRadio.com/SundayMorning-Live right after the show! If you go there now you can set a reminder email to come to you on Sunday! Plus check out our companion blog at http://www.SundayMorningLive.net. Bail set at $75,000. That doesn’t sound quite right. Darlene already filed her report and she leads off with news about Janet Jackson. After you listen if you want more Janet Jackson news, visit www.JanetJackson.com. I see the tickets were sold out in one day but another date was added so with enough voices maybe you can get another date added if that one is sold out! The Green Hornet (3D) and it cast of Seth Rogen, Jay Chou and Cameron Diaz. Wow! You gotta listen to find out why! Jaaye Person-Lynn, Esq. will Co-MC the Annual Martin Luther King Breakfast hosted by the Inter Alumni Council 1/17/11 at the Proud Bird. 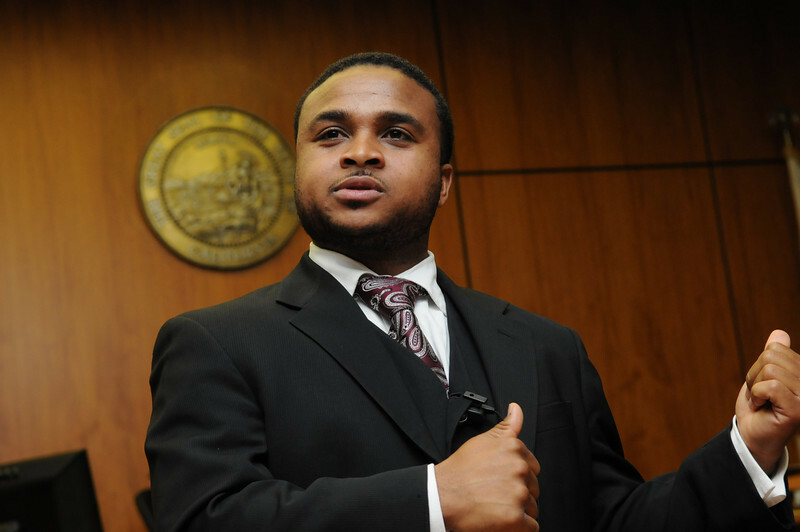 A graduate of two black colleges, Hampton University and Howard Law, Jaaye is working for the L.A. County Public Defender. A clip of Dr. John Wilson, office of the White House Initiative on HBCUs was the keynote last year is embedded below. For tickets and details: Click Here. Represented area at “Dream” speech, followed a law dream of his own. My note: When you have a son struggling to pass the bar, the name Atty. Maxcy Filer comes up, for it was Maxcy Filer who took the bar 48 times before he passed it at the age of 61; it was Maxcy Filer whose sons grew up, and passed the bar and hired him as a law clerk. The law license was just a formality, though, because Atty. Maxcy Filer was active in Compton and its civil rights and more. Thanks to Atty. Carl Douglas who brought this to our attention. May Atty. Filer rest in peace. 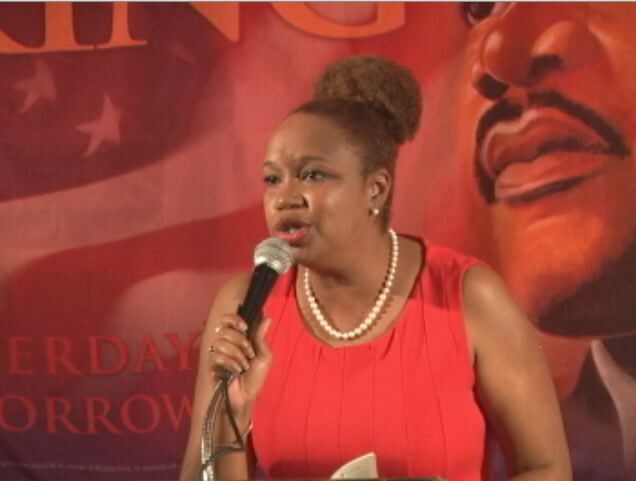 He was laid to rest Saturday, Jan 15, Dr. King’s real birthday. 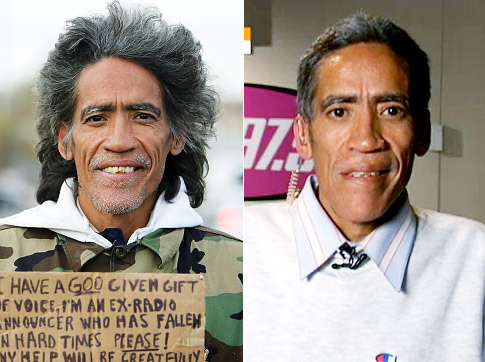 Ted Williams Update: Sadly he will be on Dr. Phil today and tomorrow, reunited with his ex-wife and children.. I really am not feeling this over exploitation…. And last night, the Grio reports he was detained by LAPD for a family squabble. Read more from The Grio here. Darlene Donloe continues at TCA. Report coming soon. Verizon finally gets the iPhone! This was posted by my favorite tech blogger Terry White. 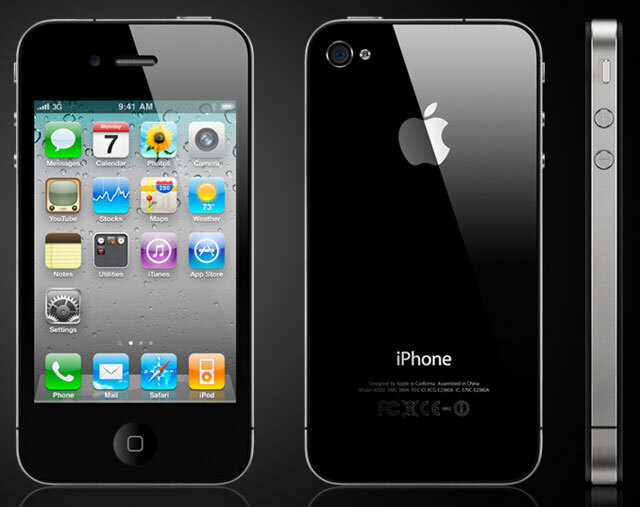 This articles weighs the pros and cons of running out to get the iPhone on Verison. And there are some! Click to read more at Best Apps Site. 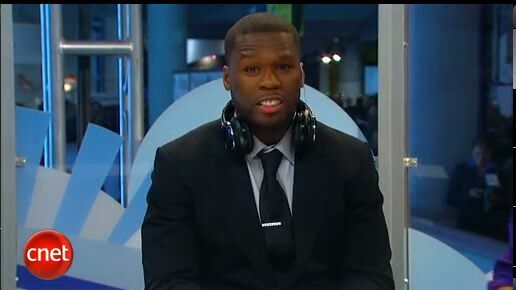 50 Cent knows how to make $10 Million from one weekend on Twitter! Got stories? Email them and their source to: info@sundaymorninglive.net. She is also gracing the cover of the February Essence magazine and looking quite well. MOVE YOUR CAR! Did you know? This is the artwork of Allie King, in Miami Beach Florida. Good stuff! Missed it? You’re in luck! SML runs from 10 a.m. to 11 a.m. Just click that link and click the play arrow on the player and you can hear the show whenever you choose. Met a very interesting woman named Terrye L. Cheathem. She is the founder of Three Squares Greetings, For those who can’t come home. She is fascinating and I look forward to our conversation. In the meantime check out her cards here http://www.threesquaresgreetings.com/ . Is Your Smart Phone Smarter than Mine? It’s time we talk about cell phones. Sybil McMiller’s Droid is going to go for a lil One on One with my iPhone. She is an illustrator (See her work at http://www.SybilMcMiller.com or listen to HER Blog Talk Radio Show on Saturday mornings” http://www.blogtalkradio.com/thepulse1 . Darlene Donloe has the inside scoop on the latest movies and Entertainment. Stay tuned for her Donloe Scale! THis week she was working hard at TCA (whatever that is) and went to Oprah’s Cocktail Party and hung with Mike Tyson. This is one week you do NOT want to miss! It seems everybody was there, Miki Turner, Leroy Hamilton shot it for Starz. By the way, I saw this Tweet: http://www.suite101.com/content/miki-turner-interview-on-her-journey—part-1-a318904 Miki Turner who is an incredible writer and her work regularly appears in Jet and Ebony has a photography book coming out. Check it out! Is Sybil McMiller’s Phone Smarter than Mine? Sybil McMiller, illustrator, loves her Droid! 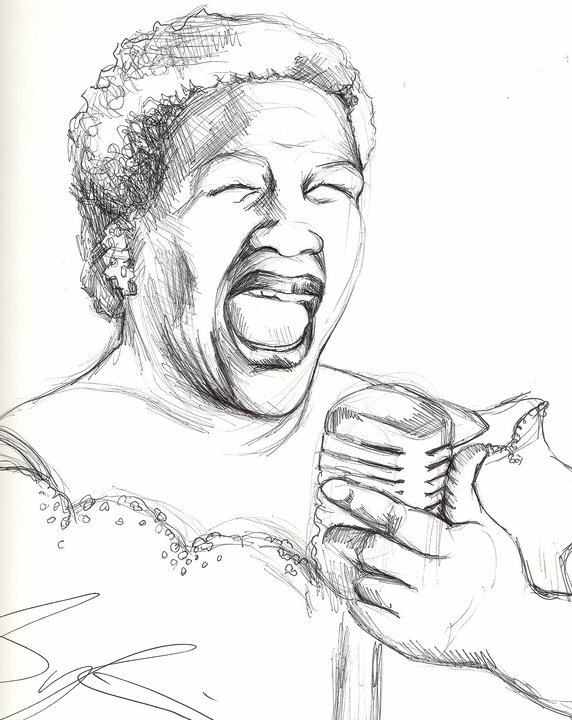 Sybil McMiller is a talented illustrator, and she hosts a show called “The Pulse” right here on Blog Talk Radio. 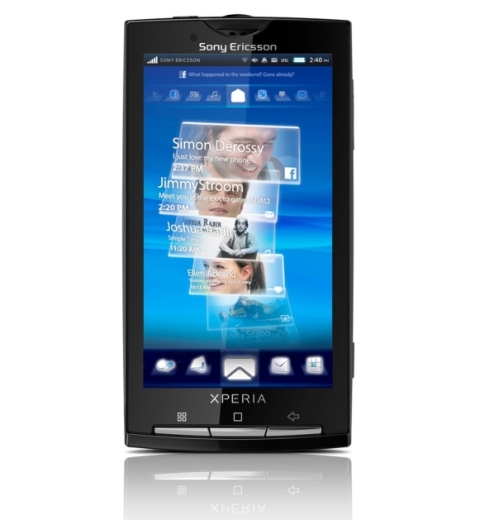 She told me she loves her Sony Ericsson Xperia (Made for the Android Platform). I told her I love my Apple iPhone 4. Now, this is not about how many megapixels the phones have and how reliable the phone services are. This show is not about: “Anything you can do, I can do better.” It’s more for those of you out there who paid these high prices for a smart phone yet you use it like a regular cell phone. Come on people! Let’s hear what they can do! Any Blackberry people out there? Sybil is an award-winning Illustrator & graphic designer whose art has been published and exhibited within the Los Angeles circuit. 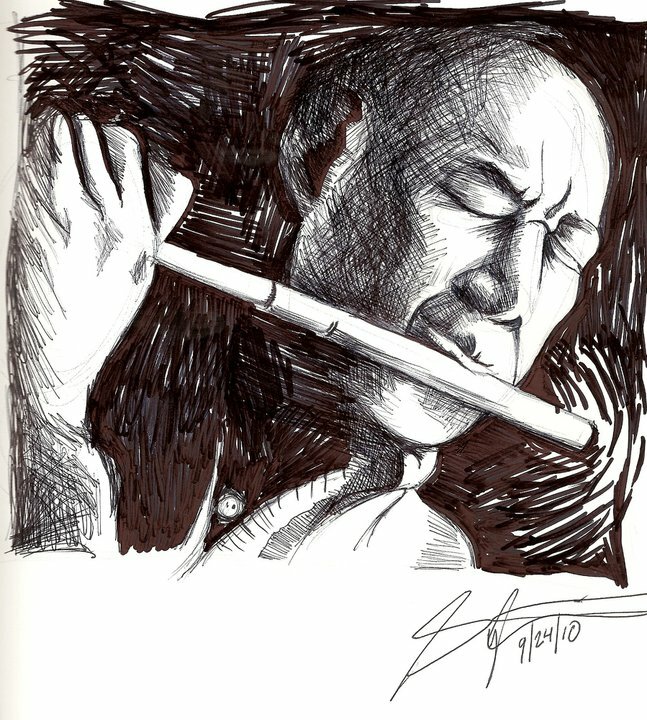 Sybil has many years of professional experience in Art Education working for The Los Angeles County Office of Education and The International House of Blues Foundation. Sybil also produces and hosts a weekly Internet talk radio show called “The Pulse…” “The Pulse…” is a show that promotes the pursuit of creativity and provides a platform for various Artists to dialog with his/her community. “The Pulse…” is educational, informative, and entertaining while reflecting the “pulse” of the Creative Metropolis and of the World. “The Pulse..” can be heard Live every Saturday Morning @ 11:00a.m. (PST) only on www.blogtalkradio.com/thepulse1. 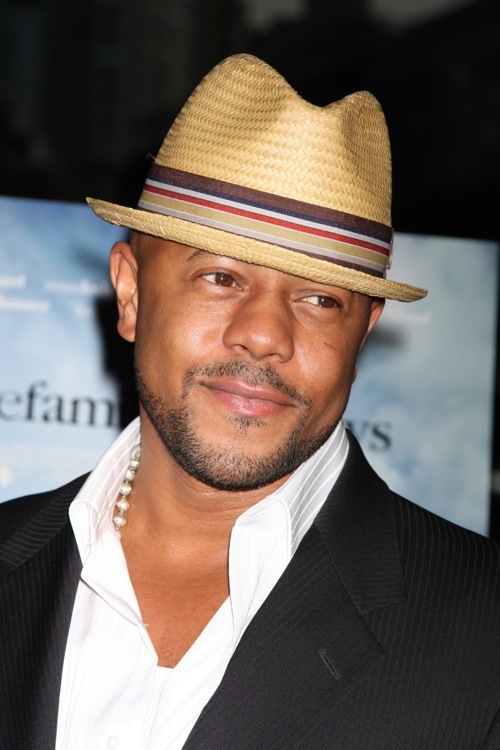 Last week we referred to Rockmond Dunbar going to Gambia to do some film projects. Here is the link to the interview I did with Rockmond Dunbar when he was a celebrity judge for The Great Model Search. Listen Now! If we have time we will play it today. You will remember him as Kenny Chadway in Soul Food. One of the other celebrities who judged the Model Search Wendy Raquel Robinson is back in The Game starting 11/11/11! It is so heartwarming to see The Game’s entore cast come back to The Game which has premiered to rave reviews on BET. The season kicks off 11/11/11 (love it!) and Wendy Raquel Robinson is Tasha Mack. Former Laker Rick Fox will be on the show so there is a lot of eye candy. For details visit: Here. During the week, I find MANY things to post on Facebook, but I am overwhelming my friends. I need an outlet for my news addiction: used to do two newscasts a day five days a week and a talk show in Sunday (ACE) or Saturday (KJLH) when filling in for Jacquie Stephens. Folks, the story below is breaking news, changing by the minute. Please get the up-to-the minute reports from your trusted favorite news source. TUCSON, Arizona (Reuters) – A congresswoman was shot in the head and seriously wounded and six other people were killed by a man who opened fire at a meeting the politician was holding in Tucson on Saturday, officials said. 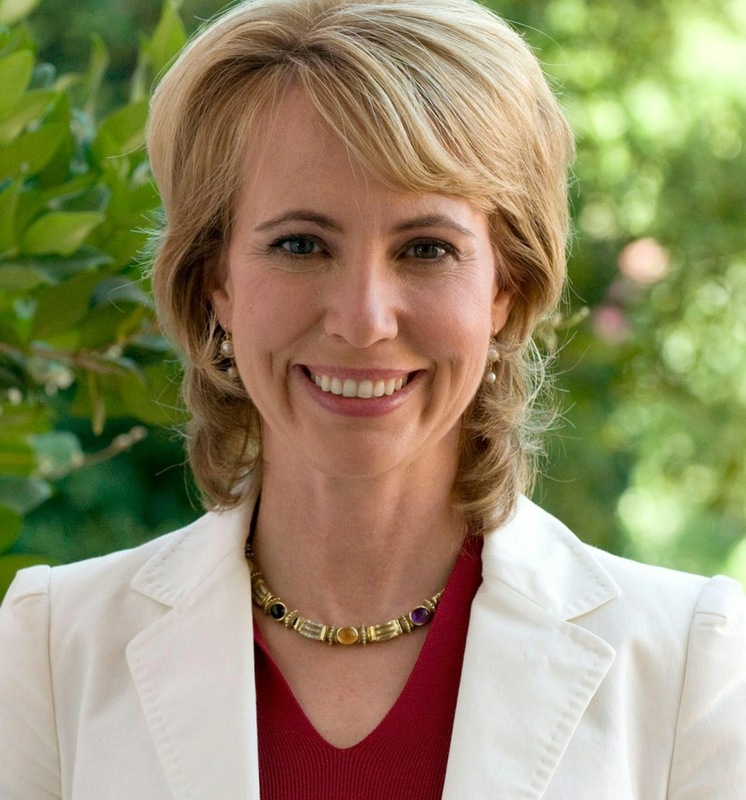 Gabrielle Giffords, a 40-year-old Democrat in her third term in the House of Representatives, was airlifted to a hospital in Tucson after being shot at close range outside a grocery store in the Arizona city. The granddaughter of Dallas Green, who managed the Philadelphia Phillies to a World Series victory in 1980, is the youngest victim of the shooting in which Rep. Gabrielle Giffords was wounded and a federal judge killed in Tucson, Ariz. 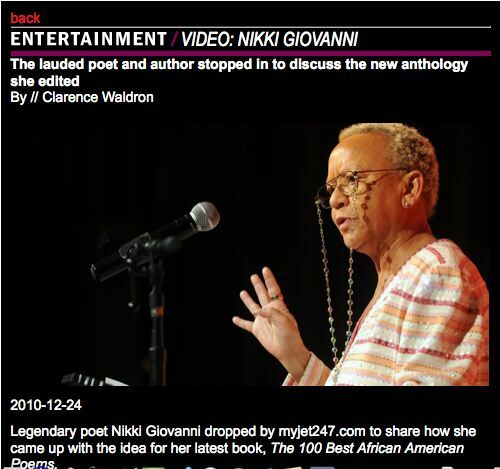 Legendary poet Nikki Giovanni dropped by myjet247.com to share how she came up with the idea for her latest book, The 100 Best African American Poems. The collection includes works by James Weldon Johnson, Paul Laurence Dunbar, Gwendolyn Brooks, Lucille Clifton as well as contemporary poets like Tupac Shakur. Miki Turner has a New Book! How exciting is this? 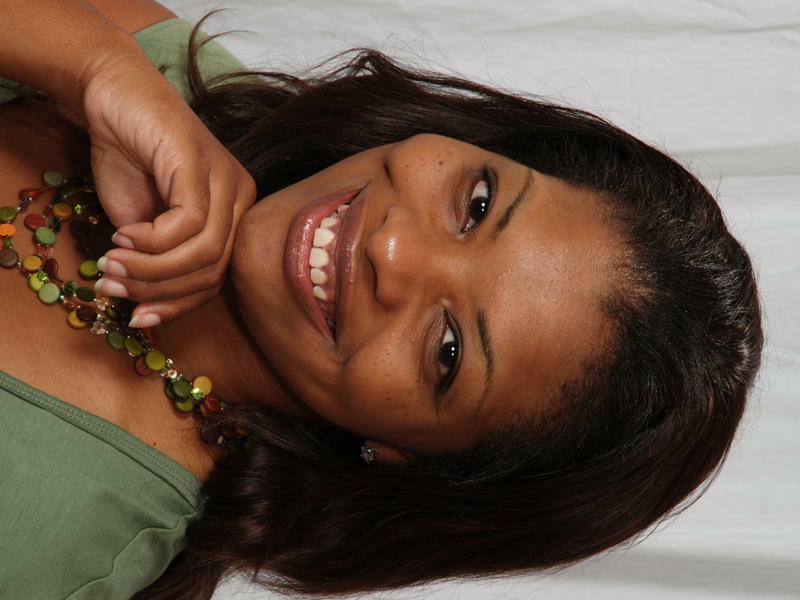 A writer turned photographer, Miki Turner is a senior editor at Jet Magazine. The first time I ever met Miki (a HamptonU Grad) she was interviewing for AOL Black Voices. 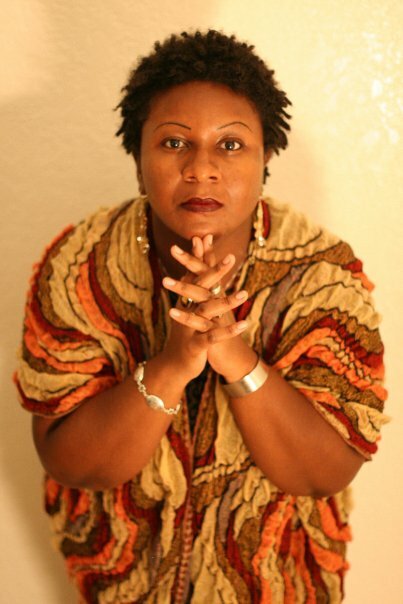 She interviewed my husband Dr. Kwaku Person-Lynn, who had a film premiering at the Pan African Film Festival. Here is that interview. Attorney Legrand H. Clegg II and colleagues went before the L.A. County Board of S upervisor’s which in turn resulted in the L.A. County Museum of Art (LACMA) opening up a session to discuss the prospect of an African presence or influence on the Parent culture of the Americas, The Olmec culture. CES was the big news story of the week The Consumer Electronics Show that took over Las Vegas. While Apple usually releases its new stuff at its own summits, it did announce the Mac App Store for the Mac which I am enjoying thoroughly. To get it: Go under your Apple (If you have Snow Leopard) and click “Software Update” Let the software install and follow on screen prompts. It will reboot, and when it does look under the Apple for the App Store link and voila! The first one I downloaded was Twitter and I love being able to get right to Twitter which is now in my dock, instead of going to the URL. He has invested in a condom company, Headphones, (which debuted at CES) He has fallen in love with massager chairs (His girlfriend). Watch him pull out a wad of cash that blows his interviewer away. SACRAMENTO, Calif. – A woman who was 16 when she ambushed and killed her former pimp in a Southern California motel room has been granted clemency by Gov. Arnold Schwarzenegger. Calling her life sentence “excessive,” Schwarzenegger on Sunday commuted Kruzan’s sentence to 25 years to life in prison with the possibility of parole. Her clemency petition cited years of abuse and psychiatric reports saying she suffered from battered women’s syndrome. Schwarzenegger leaves office on Monday. So HOW DID THIS HAPPEN? 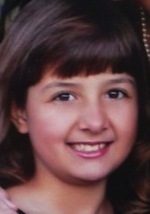 Taken from Colonel Sixx’s Blog: Sixteen-year-old human trafficking victim Sara Kruzan was sentenced to life in prison without parole when, in a desperate act to escape captivity, she shot her pimp. When Sara met G.G., the 31-year-old man who would become her pimp, she was only 11. G.G. groomed Sara two years before he raped her. By then, his control was complete and he forced her into prostitution. Sara and the other girls who G.G. exploited were out on the streets from 6pm to 6am, every night. Twelve hours a night, seven days a week, for three years, Sara was raped by strangers so G.G. could profit. After three years, she snapped, and she killed him. The Black College Expo was yesterday! 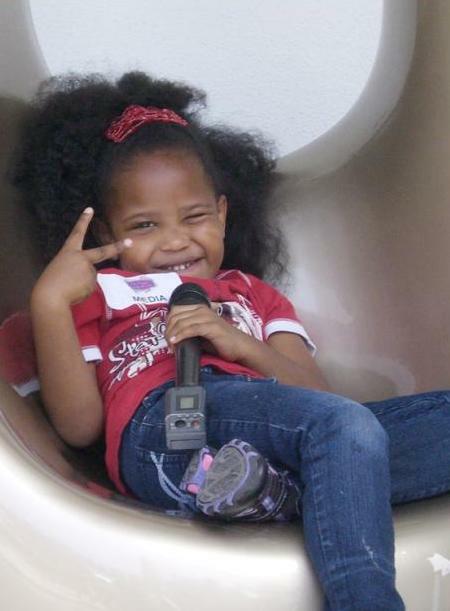 This is an audio clip of my son, Jaaye, going down to work it! “I am pleased that L.A. County Sheriff Lee Baca has requested the Federal Bureau of Investigation’s (FBI) assistance and will send Mitrice Richardson’s remains to the agency for further examination. 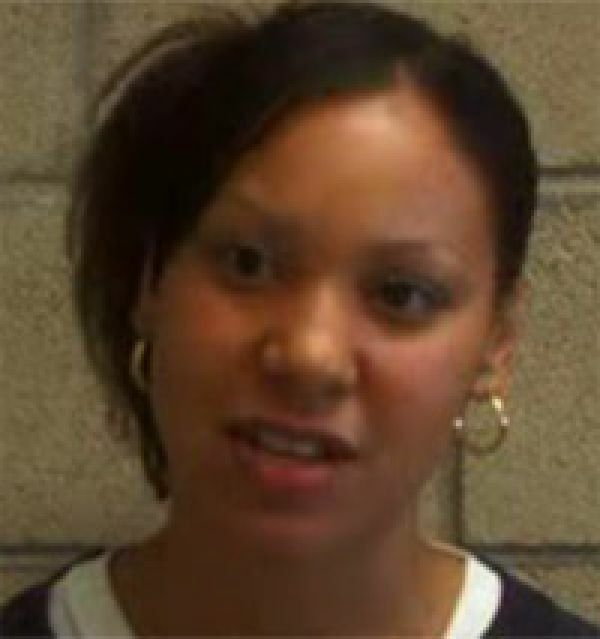 Although the L.A. County coroner concluded that Mitrice’s cause of death could not be determined, an independent autopsy report reveals disturbing information and offers chilling new insight into what may have occurred after Mitrice’s disappearance. It is my hope that the FBI will help us learn the truth. “Ever since Mitrice disappeared, her mother, Latice Sutton, and a broad network of supporters have remained vigilant in their efforts to uncover the truth. Following the discovery of Mitrice’s remains, many questions about the circumstances of her tragic death have not been answered. Over the past year, I have communicated to the Justice Department my concerns about the handling of this case by local authorities and indicated that federal involvement in the investigation was warranted. “While I commend Sheriff Baca for his cooperation, I am disappointed that Mitrice’s family and the local community had to expend a great a deal of resources – organizing private searches and commissioning an independent autopsy – in order to compel the local authorities to investigate what appears to be a series of clearly negligent missteps in official procedures and protocols. Do we really need 40 Proof Chocolate Milk? Sold at Costco?????? 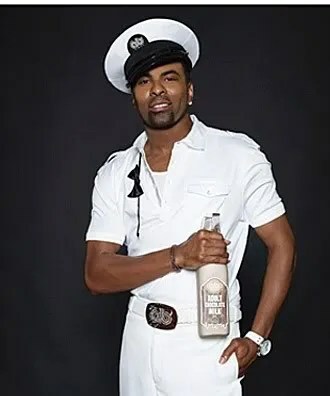 Ginuwine, who performed Thursday night at the Baldwin Hills Crenshaw Plaza has been signed to represent a new product. Meta Williams who chairs the event invited Jaaye, a graduate of two back colleges: Hampton University Undergrad and Howard Law. This year’s speaker is Curtis Symonds, CEO, HBCU Network, a new HBCU cable television network that will launch this year. 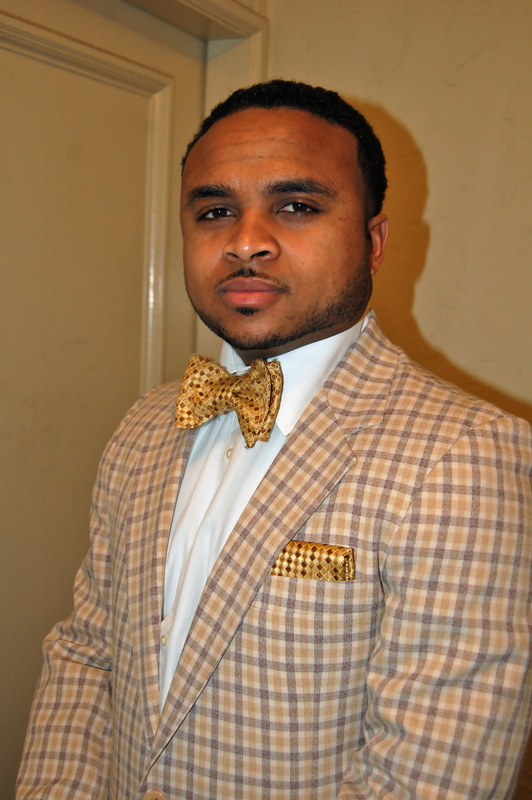 He is also former Executive Vice Resident, BET NEtwork and an alumnus of Central State University. Beyond Incarceration: Envisioning a New Probation Department Los Angeles County runs the largest probation department in the world, with over 2000 youth housed in 18 probation camps and 2 juvenile halls at any given point in time. With a cost per probationer of over $7500 a month, an average camp stay of four and half months, and a recidivism rate between 50-75%, many have challenged the effectiveness of the existing system. Led by Supervisor Ridley-Thomas, many organizations have called for a consent decree to require Federal oversight over probation camp reform. In addition, the progressive alternative models that are being implemented around the nation provide resources and examples of what the Los Angeles County Probation Department should aspire to. This panel will explore these alternative models and discuss how Los Angeles County can best move forward with reform. Be sure and register at this site! ATLANTA – A counterfeiter at a Georgia state prison ticks off the remaining days of his three-year sentence on his Facebook page. He has 91 digital “friends.” Like many of his fellow inmates, he plays the online games FarmVille and Street Wars. He does it all on a Samsung smartphone, which he says he bought from a guard. And he used the same phone to help organize a short strike among inmates at several Georgia prisons last month. 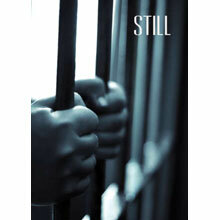 Technology is changing life inside prisons across the country at the same rapid-fire pace it is changing life outside. A smartphone hidden under a mattress is the modern-day file inside a cake. Although prison officials have long battled illegal cellphones, smartphones have changed the game. With Internet access, a prisoner can call up phone directories, maps and photographs for criminal purposes, corrections officials and prison security experts say. Gang violence and drug trafficking, they say, are increasingly being orchestrated online, allowing inmates to keep up criminal behavior even as they serve time. The Georgia prison strike, for instance, was about things prisoners often complain about: They are not paid for their labor. Visitation rules are too strict. Meals are bad. But the technology they used to voice their concerns was new. And last but not least: SPORTS! Special Thanks for today’s Program: God, Terrye Cheathem, Sybil McMiller, Melissa Fortino, Lita Herron, Darlene Donloe, all of the news sources that work so hard to keep us informed and all of the notables into whose livs we peaked this week. And thanks for forging and typos or broken links. Please let us know at info@sundaymorninglive.net.